PINE BELT, MS (WDAM) - The Storm Prediction Center has continued the Slight Risk for severe weather for the Pine Belt for Saturday and into early Sunday morning. That is a two-out-of-five on the one-to-five scale where five is the highest risk for severe weather. 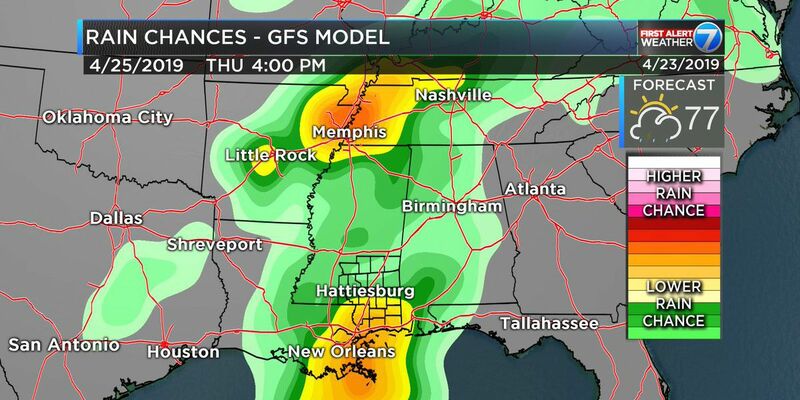 Model data is coming into better agreement that organized severe weather will be possible for our area. This setup isn’t as messy as the last round of severe weather and should be a bit better organized. The overall threat for severe weather may also increase in the coming 18 to 24 hours, so please stay tuned to the forecast. Wind from the southeast will pick up during the day on Saturday, pooling warm and moist Gulf of Mexico air in the region. There may be a few showers and drizzle in the morning under a mostly cloudy sky. 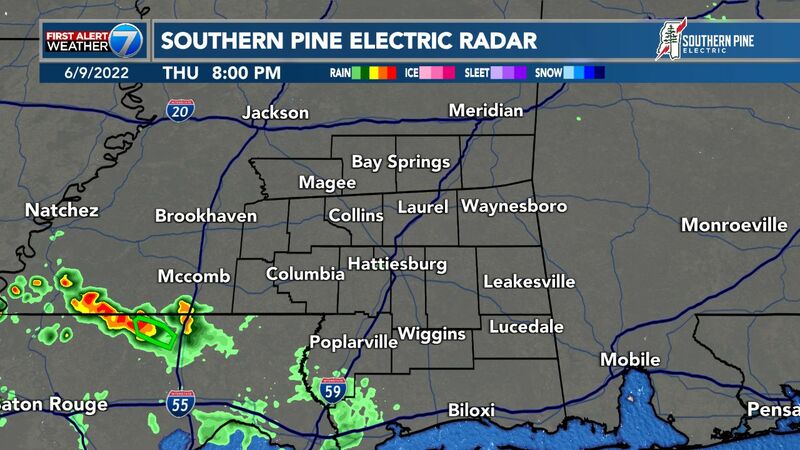 For the Pine Belt, it looks like there may be enough of a lid on the atmosphere to hold thunderstorms down until after 9 p.m. on Saturday night. As a cold front approaches it will open the door for showers and storms to start in the evening and continue into the overnight hours and into Sunday morning. The computer model data continues to suggest this is a heavy rain and wind event. With straight-line wind up to 70 mph possible and up to 1.5 inches of rain. Unfortunately, tornadoes will also be possible too. Since the storms will be moving through the area as a broken line, there may enough space within the line, as well as upper-level wind support, to have rotating updrafts and embedded supercells. 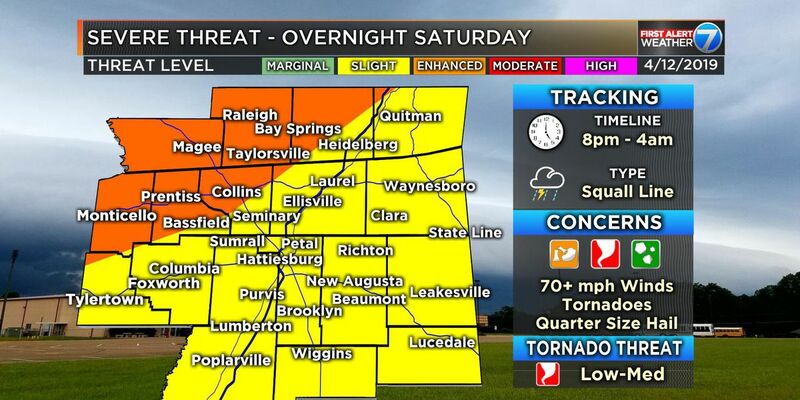 Regular rain may be hit and miss through the afternoon, but the threat for severe weather for the Pine belt will be between 9 p.m. Saturday night and 6 a.m. on Sunday morning. For more scientific information on this, and other, forecasts, you can get a complete scientific breakdown over on Nick’s Blog.